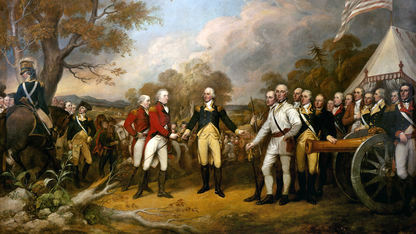 As the British gained their edge over France, colonists began pressing for independence. 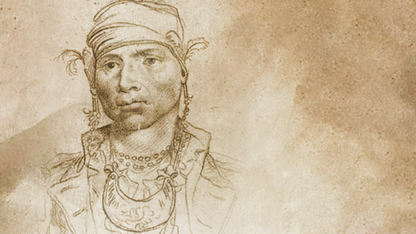 The Revolutionary War confounded the Chickasaws, who saw it as “brothers fighting brothers” and tried to take a neutral position. 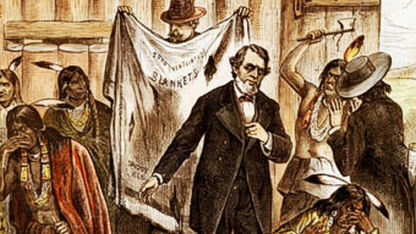 The tribe’s long allegiance to England came to an end as the Chickasaws shifted towards “Mountain Leader” Piominko’s efforts to befriend the Americans. 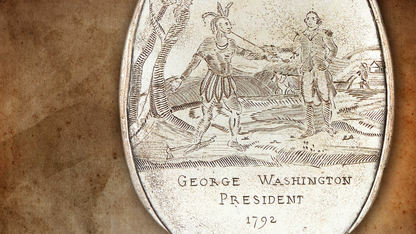 Piominko’s relationship with George Washington helped the tribe greatly, even as westward expansion began to erode Chickasaw borders. The transfer of Louisiana from France to Spain was a disturbing influence. 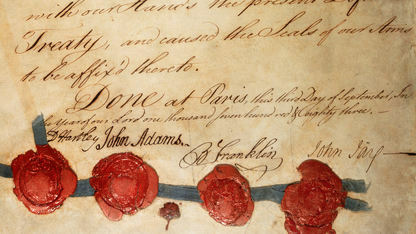 This treaty, signed by Great Britain, France and Spain, formally ended the Seven Years' (or French and Indian) War in North America. 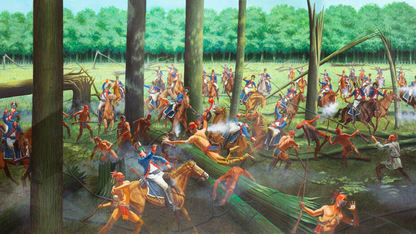 At first it looked like the British were on the Chickasaws' side. 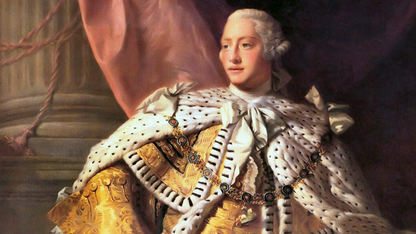 The Royal Proclamation recognized the rights of Native Americans to own land. 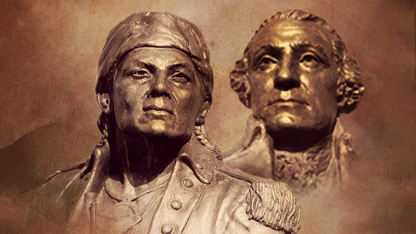 Chickasaws perceived the American Revolution as “brothers fighting brothers” and initially tried to stay out of the conflict. 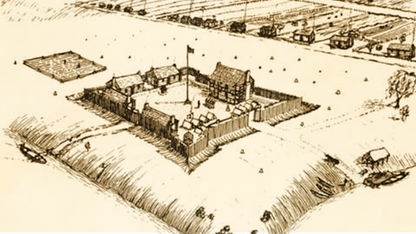 The Chickasaws' bloodiest actions against the Americans occurred at Fort Jefferson. 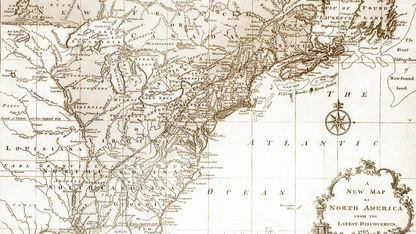 With the ratification of the Treaty of Paris in 1784, the original 13 colonies and the original borders of the United States came into being. 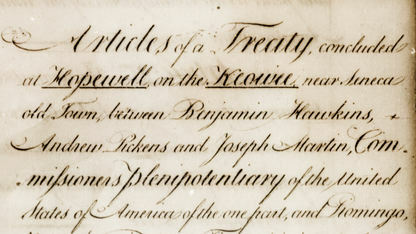 Two years after Wolf’s Friend signed the Mobile Treaty aligning the Chickasaw with Spain, Piominko signed a treaty at Hopewell, South Carolina. 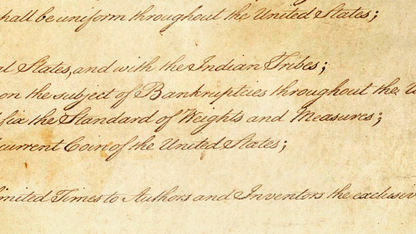 Tribal sovereignty was addressed in the U.S. Constitution, adopted in 1788. 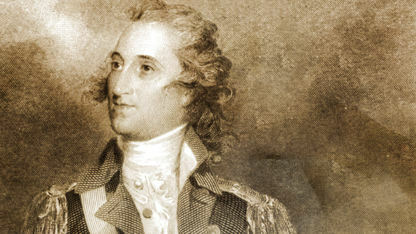 William Blount called for a council meeting of leaders from the Chickasaw, Cherokee, Choctaw and Muscogee (Creek) tribes. Washington provided Piominko with a written document confirming the boundaries of the Chickasaw Nation. Piominko’s pro-American supporters continued to gain strength against the Spanish-Creek alliance. 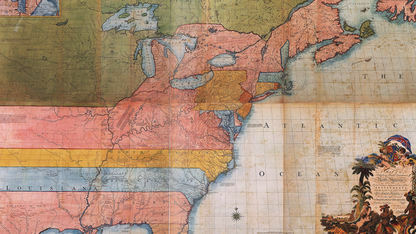 In the Treaty of San Lorenzo, Spain ceded its claim to the land above the 31st degree latitude and west to the Mississippi River. 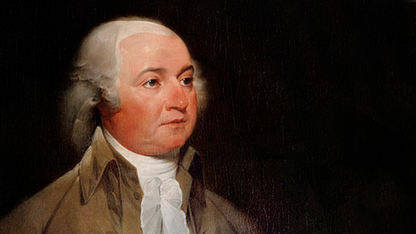 John Adams didn’t continue George Washington’s policy of guaranteeing and protecting sovereign Native American territories.